Doug's Tube's Inc. is a family owned business that market's vacuum tubes and high end audio gear worldwide, with a physical location on Long Island, NY. Doug started Doug's Tubes over 16 years ago in April 2002. Originating from his love of guitar and audio, we have helped thousands of guitarists, audiophiles and recording engineers in their quest for tone. It is our top priority to offer a wide selection of tubes for guitar and hifi amps. We put all of our tubes through a demanding testing process to find the tubes with the best quality, low noise and most durability. Currently, we are a three man band. 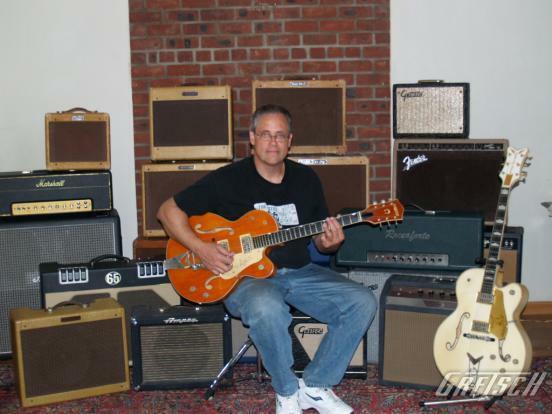 Doug Preston has been a guitar player and audiophile for over forty years and decided to take his passion to the next level. He has what is generally known as 'GAS' or Gear Acquisition Syndrome. In the last 30 years, he has shown no signs of improvement. Doug currently listens to vinyl, digital audio tape and CD on a Manley Labs system, here's the current chain -- Rega RP3/Elys2, Manley Stingray II integrated amp, a Manley Chinook phono stage, with glorious tone through Joseph Audio Perspectives. Hear them now in our Wantagh showroom. Matt Preston joined the team over 13 years ago, and handles sales and marketing. When Matt isn't tubing, he writes music with Brian, in a band called the Standstill. He plays a '96 sunburst strat out of a Mark Kane 'Kanewreck' Liverpool head. Brian Preston, also joined the team over 8 years ago, and handles order fulfillment, inventory management and tube testing/quality control. Brian plays 6 instruments, and loves his '83 sunburst fender telecaster out of a 2002 Korg reissue Vox AC30/TB6.